the first of two holiday portrait fundraisers for Underdog ResQ! 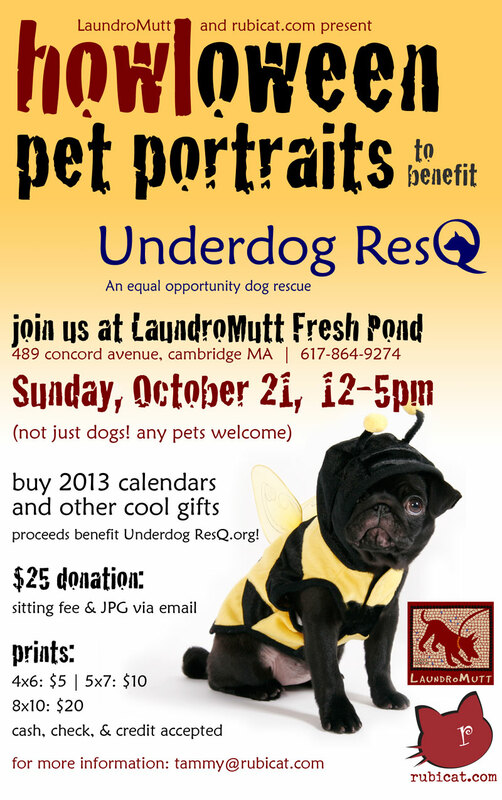 i’ve teamed up with LaundroMutt in Fresh Pond, Cambridge, to take photos of pups and pets. Bring your own costumes, or rifle through my happy fun bag o’ stylish ensembles. And while you’re at it, get your dog all spiffy-fied at LaundroMutt! You can also purchase a 2013 Underdog ResQ calendar at the event. Boston, MA readers – give this a try! I’ve known Tammy, the photographer, for years and she is excellent! Not only that, her heart is in the right place.